What material are the goods made of? How big are the unit loads? How much does they weigh? How fast should each be moved? What route should they follow? Are their slopes to bridge? What direction will the conveyor circulate? How will the goods be placed on the conveyor? Is a certain piece of handling equipment used to do so? Which are your ambient working conditions? Is there dust, heat or humidity? How was your warehouse designed? How are your goods organized? What storage solutions do you use? What order fulfilment processes do you use? As you probably know, there are many industrial-grade conveyors on the market. So, in order to find the model that best responds to your business activity; first you should analyze your needs. These types of systems are often made of materials like rubber, leather, PVC, nylon, etc. Their capacity to handle high temperatures. The handling of loose items. The strength they provide when moving goods on sloped areas. This model is very common because it is light, long lasting and doesn’t wear out much despite years of usage. This handling solution is highly sought after by logistics companies, especially due to their metallic design that helps ensure a long service life span. The agri-food, recycling and automobile industries are the ones that use these sort of conveyors the most since they are able to transport pallets and boxes. 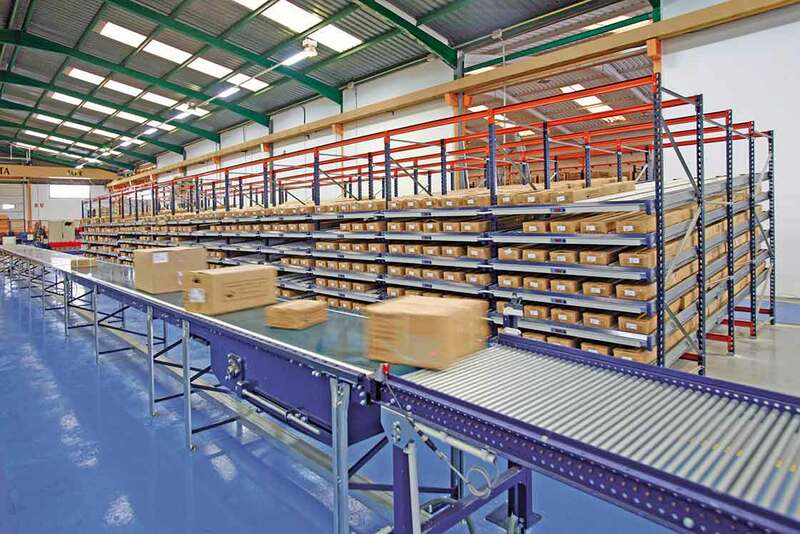 Many sectors equip their warehouses with this type of roller-based conveyor. As its name indicates, this pallet conveyor is the perfect solution for moving unit loads, working with storage solutions, e.g., stacker cranes, and guaranteeing proper picking processes. 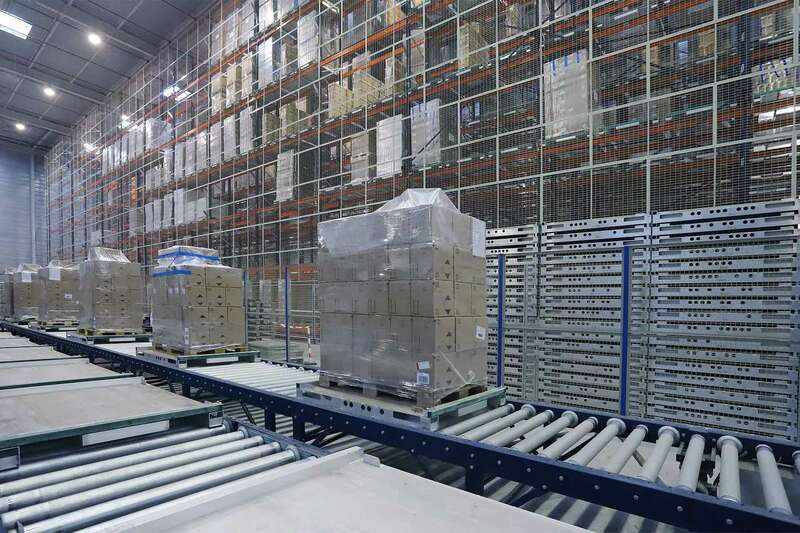 If you want to know more about pallet conveyors, take a look at our article called High productivity and automated goods handling with pallet conveyors. Used to transport boxes, this type of conveyor is the perfect system for companies in the consumer electronics sector and in logistics, above all thanks to its modularity and low maintenance features. There is a long list of available industrial conveyors. So, analyze your needs and get in touch with professionals to find the conveyor that best adapts to your warehouse. At Interlake Mecalux, our solutions are a perfect fit for many industries. Look no further; let us introduce you to the Michelin company, one of the biggest tire makers for automobiles and heavy-duty equipment.